Welcome to the era of productivity and efficiency. Today's fast-paced world needs a protocol that can tap into devices with relative ease while on the go. People have become more dependent on electronic devices, from tablets and smartphones to wristband systems. A spinoff from these and other digital devices are known as the Internet of Things (IoT). An IoT device is embedded hardware that connects to other devices using internet transfer protocols for the analysis of its data. These smart IoT devices are equipped for inputting, processing and outputting data to the web. The IoT devices are comprised of a processor, sensors, and hardware that allows for the collection of data to be processed and analyzed for self-use or collected on the cloud. Similar to a computer system sitting in most home or office, an IoT device encompasses a processor. The data process is handled with either a microcontroller or microprocessor unit depending on the function or the role the IoT system will need to perform. Microcontroller units differ from a microprocessor unit in the technology and use of these microchips. Systems that have predefined programming such as microwaves, coffee makers and vending machines would use a microcontroller due to its low cost and lack of processing power needed to get the task done. Microprocessor units, on the other hand, are the artificial intelligence that is more closely identified as the human brain of these systems. Sensors detect and measure environment changes, then takes the data collected and outputs information for self-use or uploads it to a temporary storage location in the cloud for further analysis. These sensors range from thermometers, pressure, light, accelerometers, gyroscopes, motion, gas sensor and many more. IoT sensors are diverse as they can be packaged as active or passive, mechanical or automated, analog or digital. Size, power consumption, and type are precisely calibrated to the requirements and use of a desired system and data processing required. Open source prototyping hardware platforms such as the Arduino and Raspberry Pi are ideal for a beginner to explore these type of IoT builds. The Arduino UNO is a micro controller board based on the ATmega328P chip. The Raspberry Pi 3+ applies microcontroller design by using a quad-core ARM Cortex-A53 processor as well as a Broadcom system on a chip which gives the hardware simulated artificial intelligence for projects that need data manipulation. IoT devices are growing in popularity for both business and homes. Businesses are incorporating IoT devices onto IoT micro-technologies which are used for reporting, monitoring, and warning of transports and machine operations. There are self-driving vehicles in development that will deliver a payload with very little human interaction. Recently Domino’s pizza and Ford Motors have teamed up in delivering hot, ready-to-eat pizzas directly to customer’s homes without delivery personnel. Today, homes are being outfitted with security doorbells from Ring, an Amazon company, that can stream live video to the owner’s smartphone when someone rings the doorbell or if the embedded camera detects nearby motion. With consumers accepting a high-pace technology life, self-driving vehicles and smart doorbells are becoming a part of the modern technology landscape. For more information on IoT integration and computer systems contact Mr. Gustavo Garza at 956-872-6160 or ggarza@southtexascollege.edu. 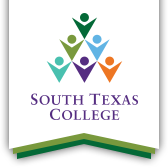 If you would like information on pursuing a degree in the Computer and Advanced Technologies Program, contact Meliton Hinojosa at 956-872-6128, via email at meliton@southtexascollege.edu or visit us on the web at http://bt.southtexascollege.edu/cat.